David Letterman is coming to Netflix, but he doesn’t need an introduction. The hour-long, six-part series “My Guest Needs No Introduction With David Letterman” premieres on Netflix on Jan. 12, with one new episode a month throughout 2018. Barack Obama is Letterman’s first guest, and the interview will be Obama’s first television talk show appearance since leaving office. George Clooney, Malala Yousafzai, Tina Fey, Howard Stern and Jay-Z round out the show’s line-up, Netflix announced Friday. A monthly interview series, beginning January 12. The show will center each episode around a guest that Letterman finds “fascinating,” a press release said, and interviews will take place both in and out of studio. The show will also feature field segments that more deeply explore a topic related to that episode’s guest. “My Guest Needs No Introduction With David Letterman” is produced by RadicalMedia and Letterman’s Worldwide Pants, Incorporated, for Netflix. Here are our highlights for January on Netflix, from original programming to freshly added film titles. Plus, what to re-watch before it leaves Netflix. 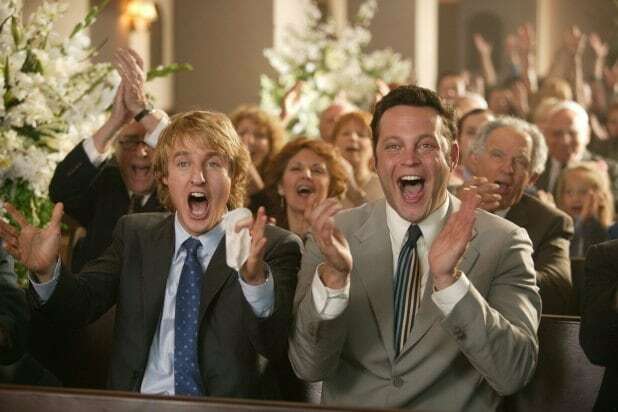 Available Jan. 1: "Wedding Crashers"
This movie is the reason "crashing a wedding" is on everyone's Tindr bucket list and why some wedding crashing was featured on "The Bachelor" that one time. It's hilarious, and perfect for watching with your pals during your post-New Year's Eve hangover. Available Jan. 1: "Willy Wonka and the Chocolate Factory"
Did the Oompa Loompas freak you out as a child? Well, Netflix has your Golden Ticket to the magical (and creepy) candy-filled world of Willy Wonka on the first of the year. Lisa Kudrow joins the cast as third wheel Sheree for the fourth season of the Jane Fonda and Lily Tomlin comedy. How will their titular friendship weather challenges brought on by this new addition? This rollicking reboot of the Norman Lear sitcom that originally aired from 1975-1984 is getting its second season on Netflix. The first season was met with critical praise for its take on Cuban-American identity and other hot topics. Available Jan. 16: "Dallas Buyers Club"
Matthew McConaughey and Jared Leto both won Oscars for their performance in this 2014 film about HIV-AIDS healthcare struggles and an unlikely friendship. Leaving Jan. 1: "E.T. The Extra-Terrestrial"
Your favorite little alien is phoning home for real this time. Cry to the cutest relationship between an extra-terrestrial and a kid one more time before Spielberg's classic leaves the platform on the first of the month. Leaving Jan. 1: "Forrest Gump"
Despite the fact this film flaunts one of Tom Hanks' most recognizable roles ever, Netflix is shouting, "run Forrest, run!" Leaving Jan. 1: "Mean Girls"
Netflix finally broke down and decided to stop trying to make "fetch" happen. You can add the streaming service to your Burn Book at the stroke of midnight on New Year's Eve for this move. Sandy and Danny rode off into the sunset in their flying car, and are continuing to fly right off the Netflix screen. We're writing a song called "Netflix Drop-Out." Why, oh why, are the television gods taking "Lost" away from us? The show that paved the way for fan-theory rabbit holes is leaving Jan. 4, so binge as much as you can in the next few weeks. Here's the complete list of what's coming to and leaving Netflix in January.